Be Cool recognized how popular the Small Block Chevy swap into GM S-series and Toyota trucks were so they built a radiator for this specific engine/chassis swap and they built it really well. The design of this radiator is minimal in size but big in cooling effectiveness. It is built around a single row 1'' tube core to allow more room for fans and accessory drives. They are manufactured with .080'' thick aluminum tanks and they come with a billet filler neck and a brass petcock. Radiator has 1-1/2'' inlet and outlet (*Toyota radiator has 1-3/4'' outlet), heater core return bung, petcock, mounting pegs and brackets to install in a radiator support without cutting or drilling. Stock fan shrouds will work with minor trimming. 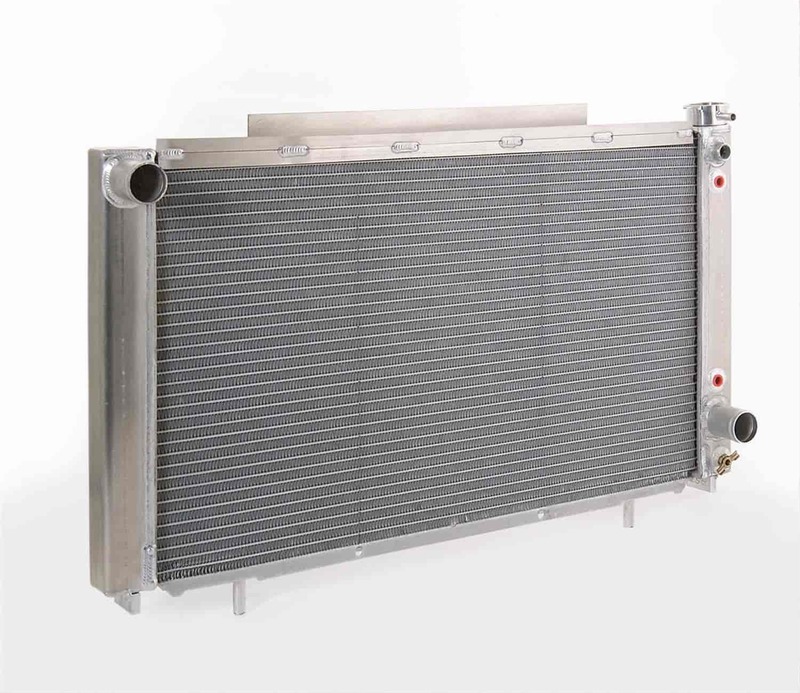 SB-Chevy conversion radiators require the use of a short water pump and brackets. Each radiator is 100% pressure tested before being shipped in expanding foam packaging. Their epoxy-free construction provides better heat dissipation, too, while allowing complete repairability. All Be Cool radiators are compatible with all coolants and 100% Made In The USA! They are Guaranteed to lower your coolant temperature a minimum of 20-degrees, or your money back! In fact most customers report even greater coolant temperature drops. If you have a stock vehicle think O.E.M., but if you have a performance vehicle you should consider Be Cool! Made In The USA. Does Be Cool Radiators 68012 fit your vehicle?